This will is the result of the professional SEO, which we will do for your site. Suitable for sites in medium competitive niches. Suitable for sites with more competitive keyword phrases. Suitable for large projects in highly competitive niches. Group and individual lessons in SEO. course of training and exercises. The number of every day visitors, who are looking for products and services by keyword from your area, will increase. Some of them will become your customers. This way, your site will turn into a machine for sales and will carry a greater regular income. But that's not all – when you reach the first positions in Google, your company will become more authoritative, and your brands will be better known to consumers. Remember that good results only come with professional SEO. It is the most effective way of marketing for your business. The right SEO service is an important step that everyone should make - knowing beforehand, however, they should be aware what is best for their site and the goals set. We, as professionals, can, consequently, advise and help you in the selection of a service. However, your participation and your active position, in searching for the most effective solution for that particular site, is important. What do you prefer – to place the work entirely in the hands of the SEO company or you are willing to optimize your site by yourself. We present a brief analysis of the SEO services, so that you can do a comparison, based on the important parameters. They are appropriate if you have provided a smaller budget for SEO or when you have your own resources and opportunities to work on the optimization of your site. Find quick answers and solutions for the optimization of your site. The price is between 80-120 EUR per hour. For this budget, you get maximum specific advices and recommendations for the optimization of your site. SEO consultation is a good option when you do not have a lot of money and you're ready to optimize and maintain your site. This is also a great option for penalized sites. When your site needs professional help to move forward in the standings. The price is 250 EUR. Unlike SEO consultation, with SEO analysis you get a detailed written site analysis and specific recommendations for optimizing it. SEO analysis helps find out what are the existing problems from SEO point of view with your Web site. The service is suitable when you want to optimize and develop your site or to evaluate its current status. We plan, and you realize the optimization of your site. The cost is 320 EUR. This service includes a detailed SEO analysis and a concrete plan for the internal and external optimization of the Web site. You receive your SEO project in written form and you have the opportunity to get additional free consultation by telephone, regarding the implementation of the SEO project. This service is ideal for customers who want to independently develop and optimize their site. This kind of services includes taking all the work on the optimization of the site, with a commitment to a certain deadlines and ranking in Google. Specific prices are formed during the preparation of the individual offers – the offers are formed based on the necessary work needed to be carried out, which in turn depends on the site itself and the competition of selected keywords. To ensure that your site has SEO oriented content and without technical problems. The price for the service is about 380 EUR. Technical problems are some of the major and most important problems for the good ranking of a site. Internal SEO is related to their detection and removal, as well as to the work done on the content of the site. Professional intervention is necessary in most cases and, therefore, this type of optimization is a mandatory first step in optimizing a site. Normally after removal of all the existing problems on the site, the ranking is immediately improved, but for this to be sustained over time, it is necessary that the work continue through external SEO. Optimization that works and achieves guaranteed results. The price includes internal (on-page) SEO and external (off-page) SEO on a subscription basis - being paid each month. With this full service SEO you get a free SEO analysis, ongoing site maintenance, professional copywriting and a guarantee of its good ranking and keeping the results in time. Normally we work with a package of keywords, but we can work even with one keyword or phrase. 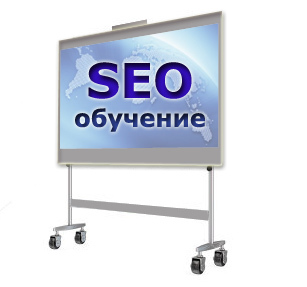 You receive the necessary qualifications to manage yourself the process of SEO and the maintenance of your site. The cost is 50 EUR per hour. During the SEO training, we give professional knowledge and skills on how to do internal and external SEO of your site. Also, you get SEO analysis and design optimization of your site, as well as additional free consultations. This type of service is appropriate for larger companies and organizations that have their own departments or employees, responsible for the maintenance and development of the company's website. The price is between 350 and 450 EUR. For this amount, you get a modern website, based on WordPress platform or on our CMS platform, which technically provides excellent opportunities for SEO. More and more often our clients benefit from this service, because it turns out that their current site is not perspective from SEO point of view, due to existing technical problems. A low-cost web site service is suitable for the creation of an additional site to the main company website, which in turn, is dedicated to particular service or product, and provides more traffic and sales. This kind of distribution of the offered products, in their own branded sites, is increasingly used by big brands; it increases the awareness and prestige of the brand. For example, our colleagues from moz.com offer their own product for links analysis in a separate site opensiteexplorer.org, which gets optimized and ranked separately; this, in turn, attract more clients towards the main domain. 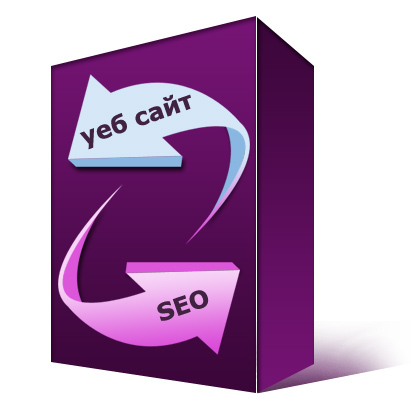 You receive an optimal result - creation and optimization of a new web site. When you order the package Web site and SEO at the same time, you use a discount of 20% for each service. This service includes the publication of professionally written articles, especially for you, in thematic and authoritative sites. The price for Link building is formed depending on the length of the article and the PageRank of the site in which it is published. For larger quantities, there are discounts available. The content that sells and wins the race. For the purposes of internal and external optimization we offer articles with unique content, optimized for certain keywords. With our professional SEO copywriting service you can build an attractive content for your site to keep your visitors longer and stimulate them to be active in the site. The price is determined by the number of words in the article, and for larger orders you receive discounts. Start your SEO now to increase your revenues.